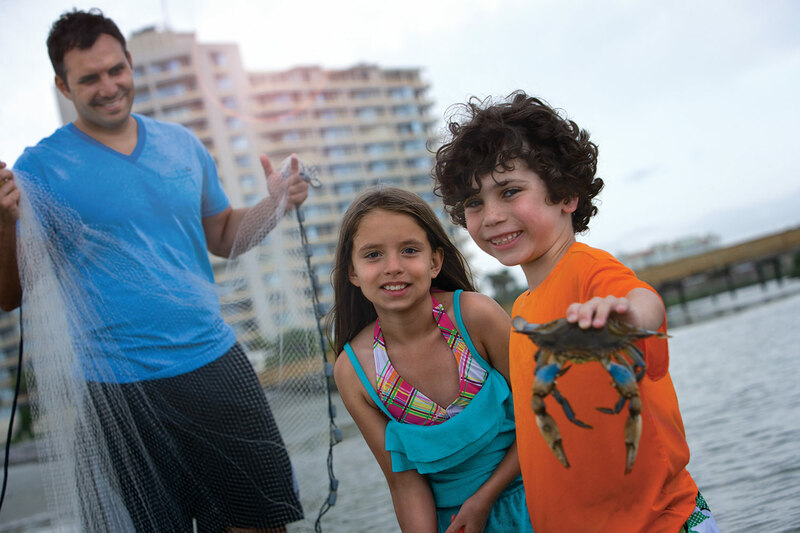 Explore all that Ocean Creek has to Offer! 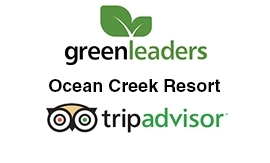 Welcome to Ocean Creek Resort! Welcome to Ocean Creek Resort! 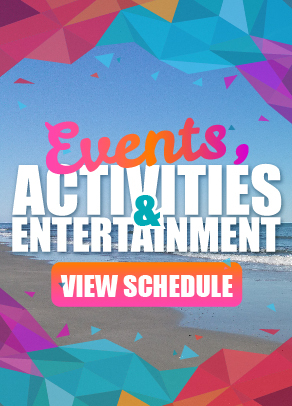 Our unique resort property is situated oceanfront right across from the bustling North Myrtle Beach Barefoot Landing entertainment district, a popular attraction for area guests. 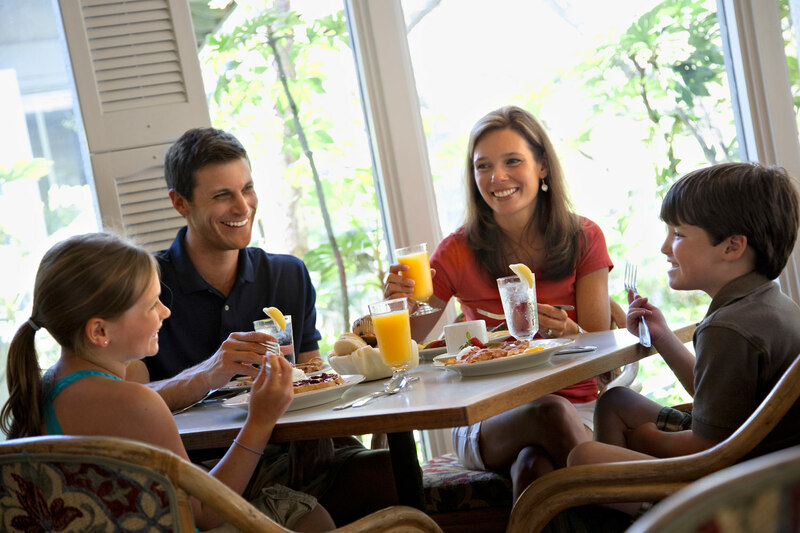 Located on an impressive 57-acres, our Barefoot Landing Resort features 24-hour gated security, beautiful grounds perfect for biking and walking, 13 water features, on-site dining and more. 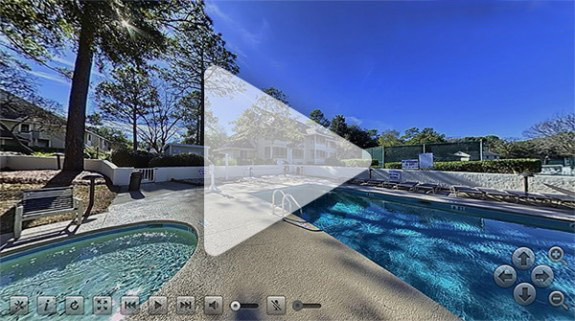 Enjoy the outdoors at the on-site tennis court, putting green, beach volleyball court and children’s playground. Known for its spectacular vistas, the towers at Ocean Creek provide amazing views of the sunset as it dips beyond the dunes just past the natural creek that rises and falls with the tide. Additional resort accommodations include a variety of villas in a relaxing and quiet setting that can only be found at Ocean Creek Resort. What are you waiting for? 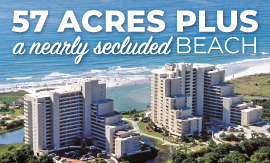 Start planning your dream Myrtle Beach retreat at Ocean Creek Resort! Stay In Touch And Get News On Special Offers! 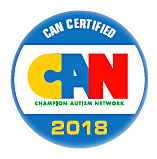 Sign Up! 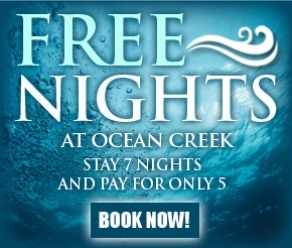 This web site is the exclusive property of Ocean Creek Resort, Inc. Use of any material without permission is strictly prohibited. Ocean Creek Resort is all encompassing, with acres of diverse accommodations, pools, tennis courts, putting greens, beaches and more.